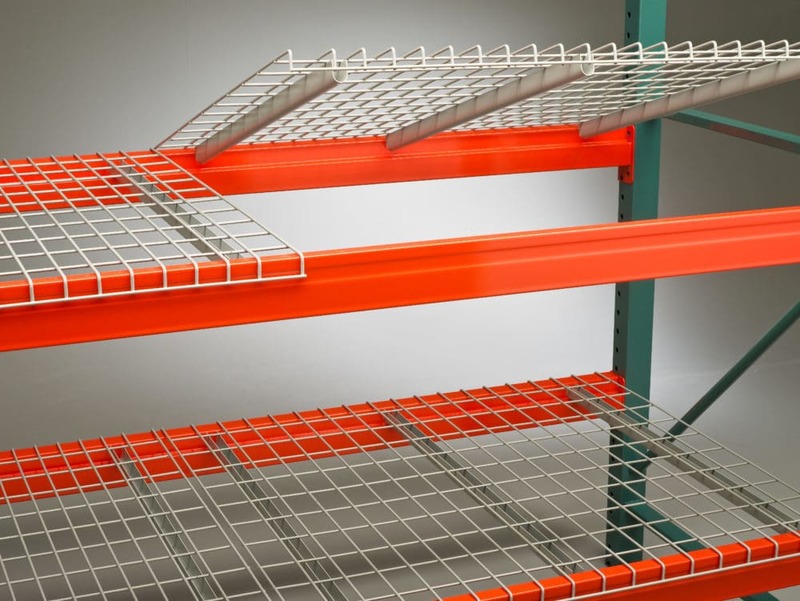 Of course, we handle wire decking to go with our pallet racking solutions. 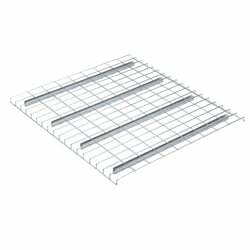 If you are looking for wire decking for pallet racks, Mustang Material Handling can provide answers. We work with Nashville Wire for most of our wire decking. With all the possible wire decking available, let us do the hard work. We can figure out the best pallet decking for your needs. Not finding the solution that is right for you? Please call us at + (330) 753-7225. Mustang Material Handling has a qualified team of skilled installers. They are available to answer questions about a pallet rack decking solution for your facility. Mustang Material Handling sells, services and installs pallet racking and warehouse equipment for customers in Ohio and surrounding states. We service the Akron, Canton, Toledo, Cleveland, Youngstown, Columbus, Dayton & Cincinnati, Ohio areas. We also help customers in the Pittsburgh, PA region. There are many types of decking to work with your pallet racks. Flared wire, standard wire, flush wire or any type that meets your needs. We can help find decking that is easy to install and simply drops into place. Decking improves fire safety by enhancing the performance of your overhead sprinkler system. It protects employees and products, improves inventory visibility and brightens your facility. It is self-cleaning and maintenance free. Gives you the flexibility to store cartons, drums, and multiple pallet sizes. Wire decking comes in a number of styles, wire sizes and different finishes. Let us help you figure out what type is best for you. We can also provide solutions for special requirements – give us a call to discuss your needs.